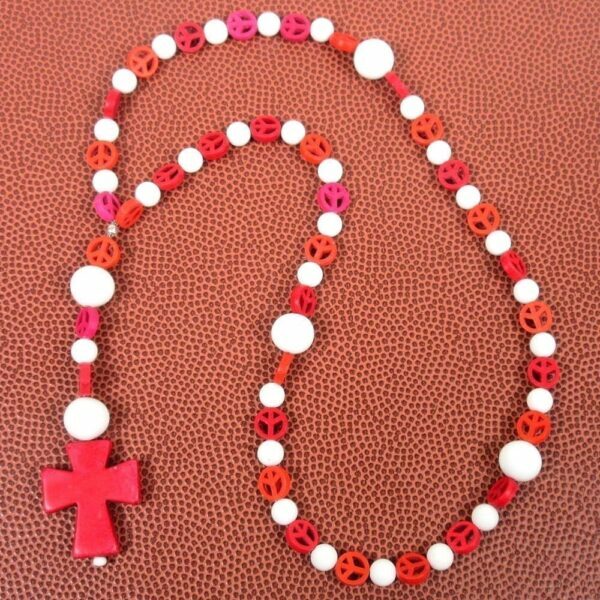 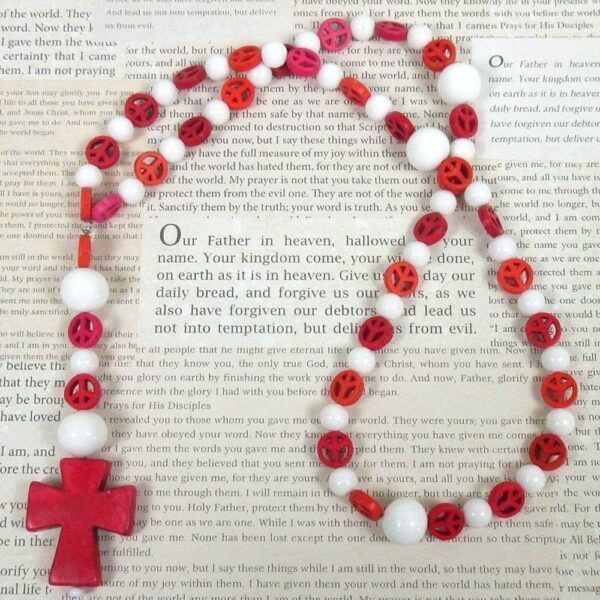 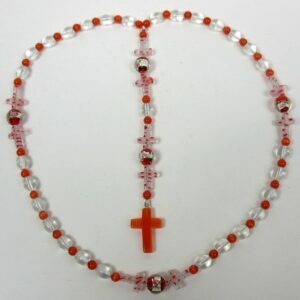 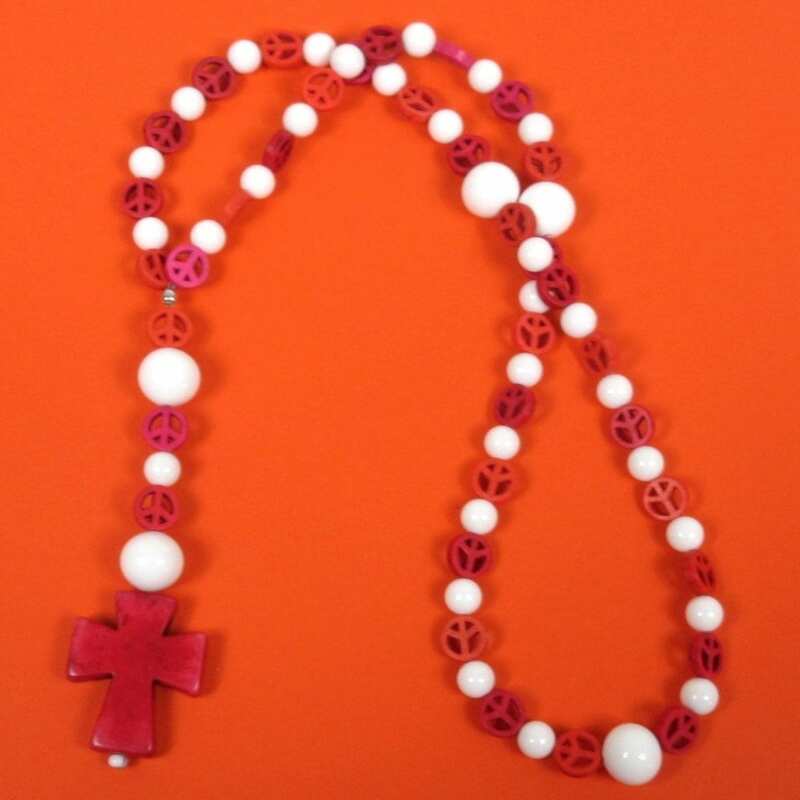 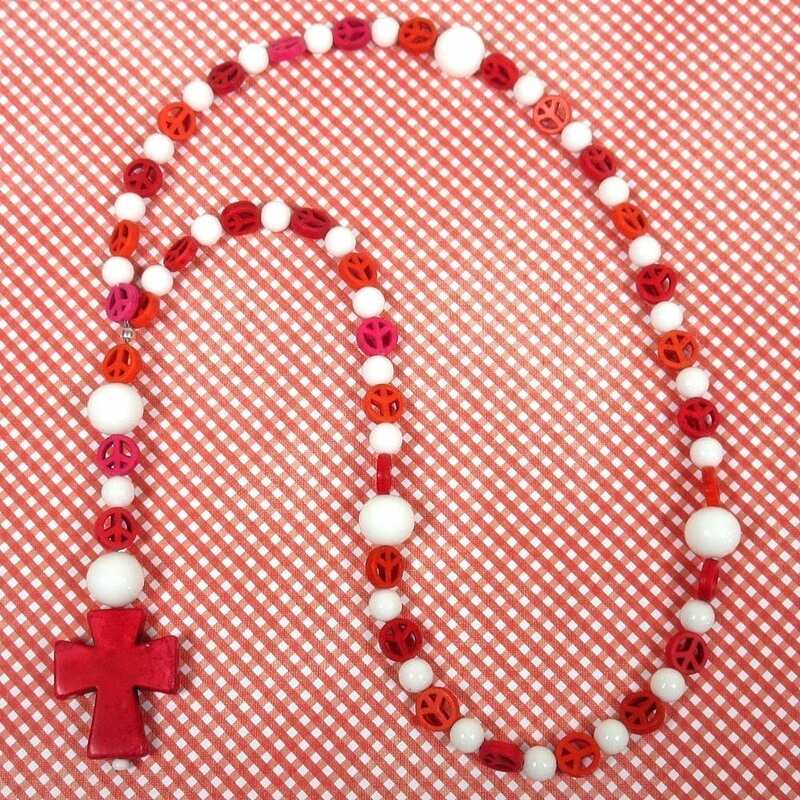 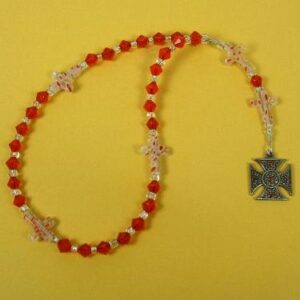 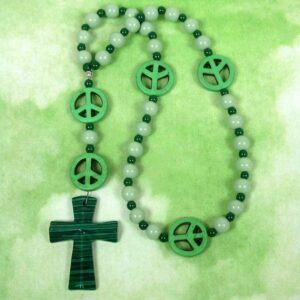 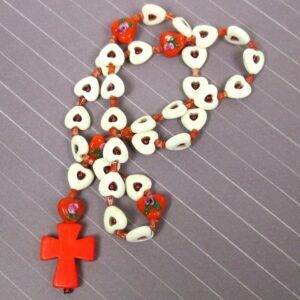 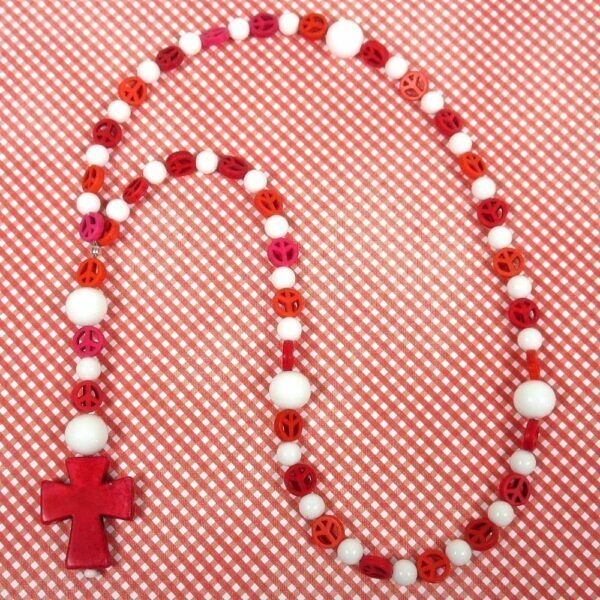 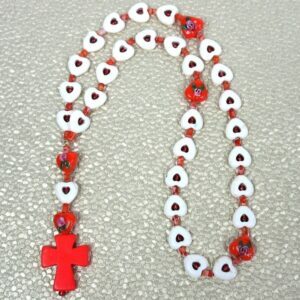 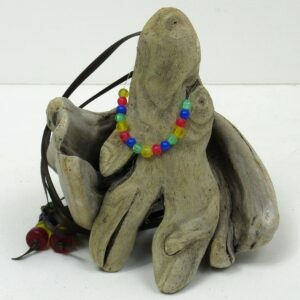 Round white glass Cruciform beads, smaller round white glass Week beads, Howlite shaded red peace sign spacer beads, and a red Howlite cross are featured on this 16 inch Anglican prayer bead necklace. 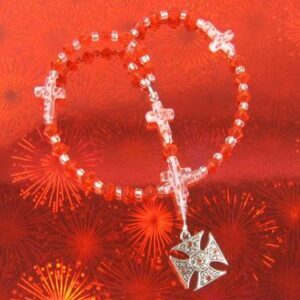 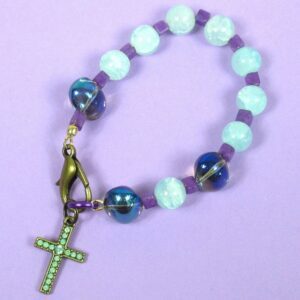 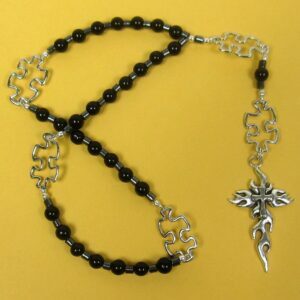 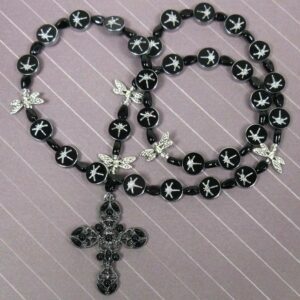 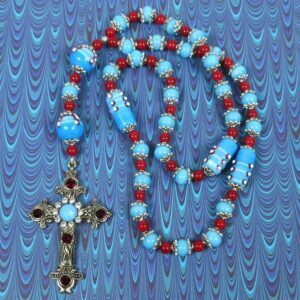 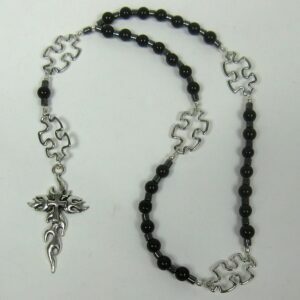 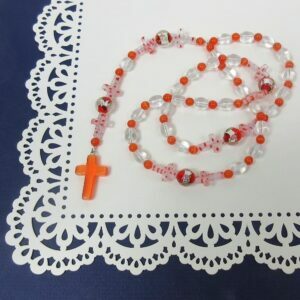 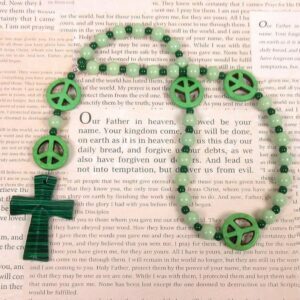 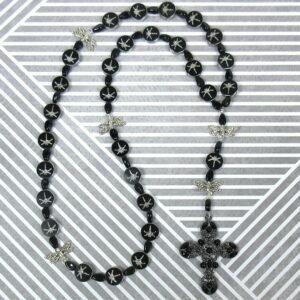 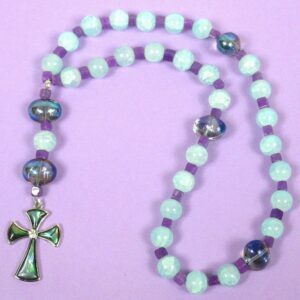 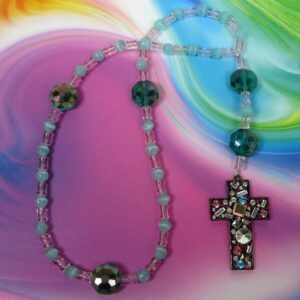 Protestant (Anglican) Prayer Beads are similar to a Catholic Rosary, but for Protestants to use during prayer. 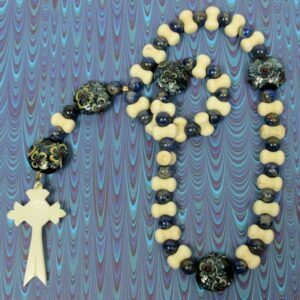 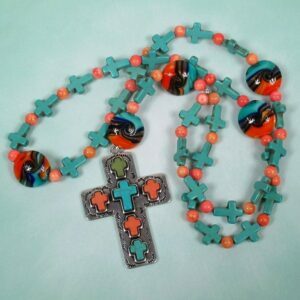 Unlike the Catholic Rosary, which has a set pattern for its use, Protestant Prayer Beads may be used any way that feels right for you. 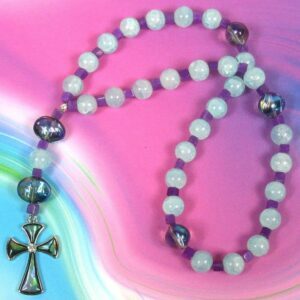 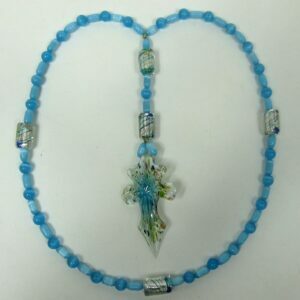 The circlet of Prayer Beads has four sections containing seven medium-sized “week” beads. 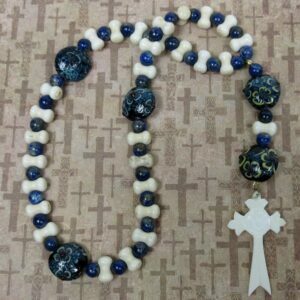 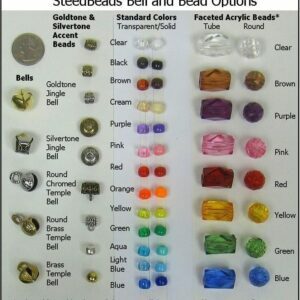 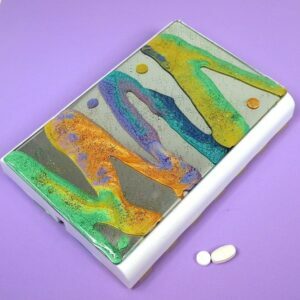 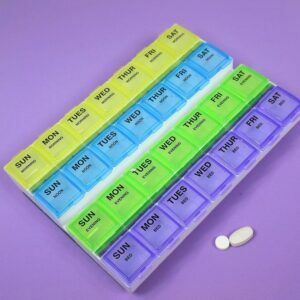 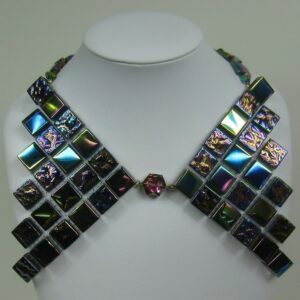 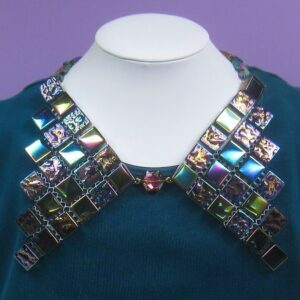 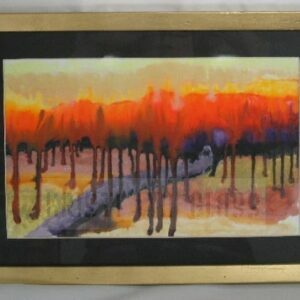 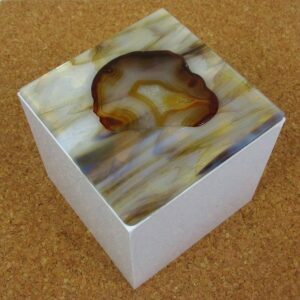 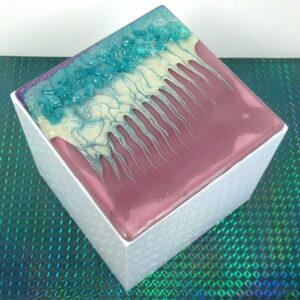 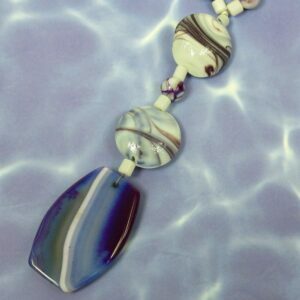 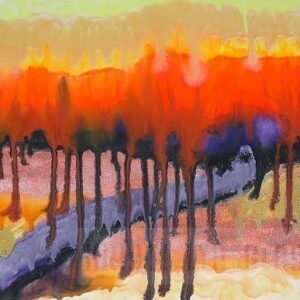 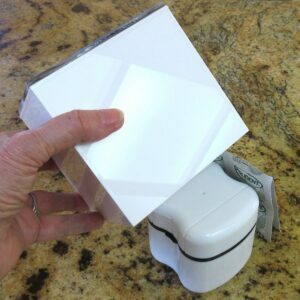 Each section is separated by a larger, “Cruciform” bead. 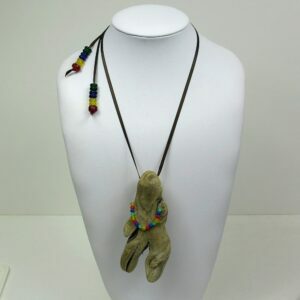 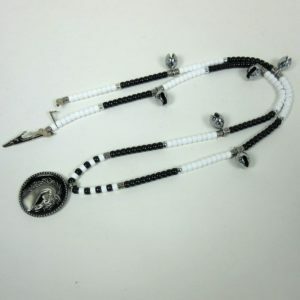 The circle begins and ends at the tail, which contains another of the medium-sized beads (which may be used as a Resurrection/listening bead), an invitatory Cruciform bead, and a cross or other symbolic pendant. 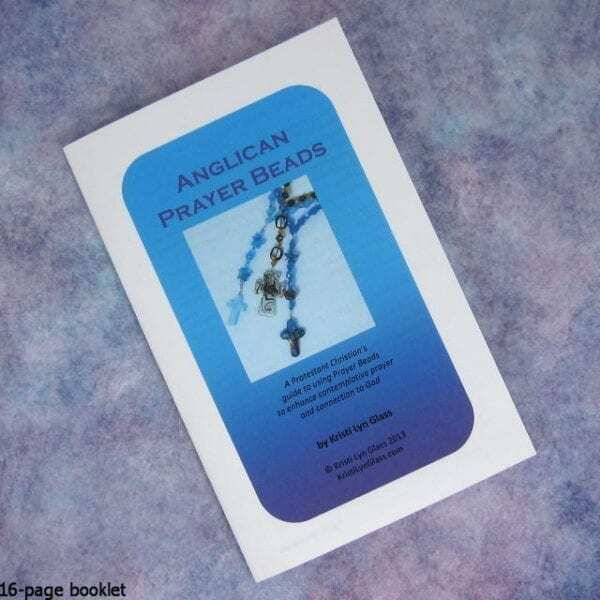 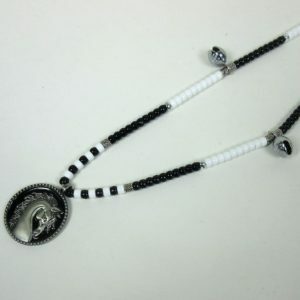 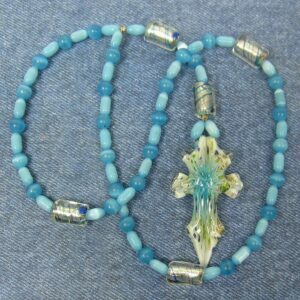 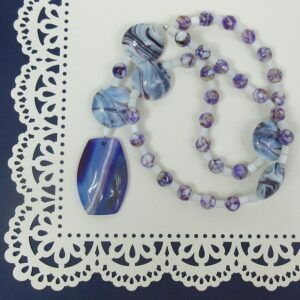 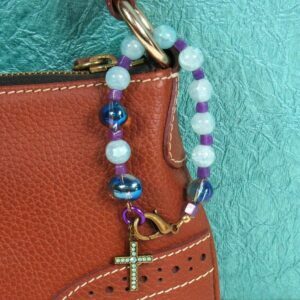 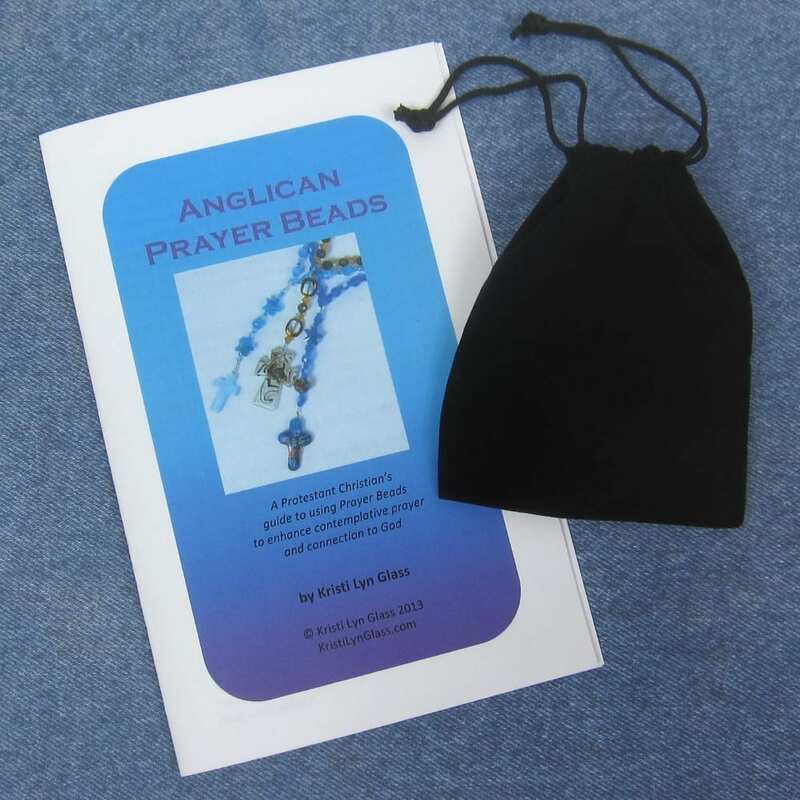 Purchase of these prayer beads includes a velvet storage pouch and a 16-page “Anglican Prayer Beads” booklet by Kristi Lyn Glass containing pictures, history, symbolism, instructions, and nine sample prayers. 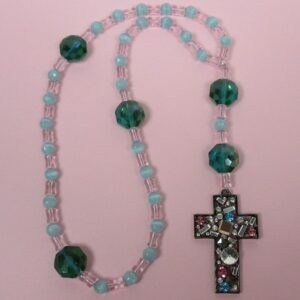 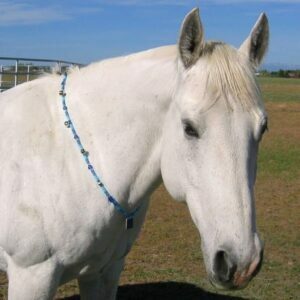 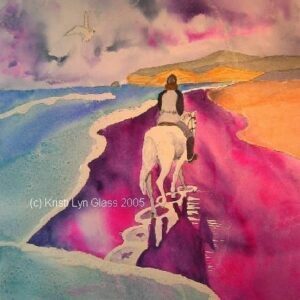 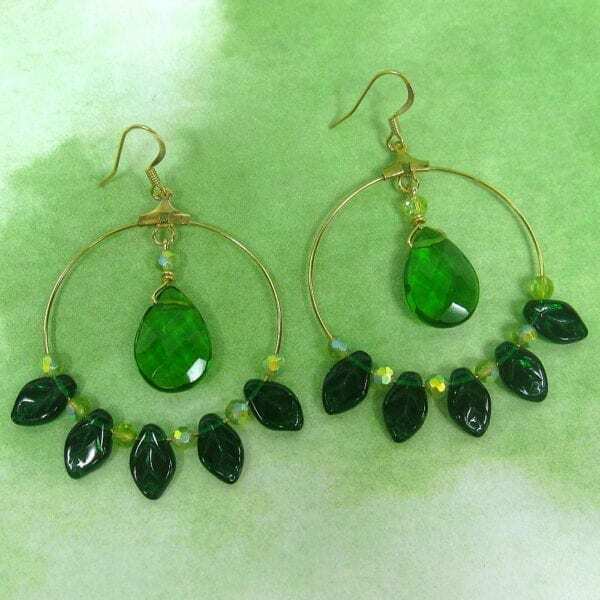 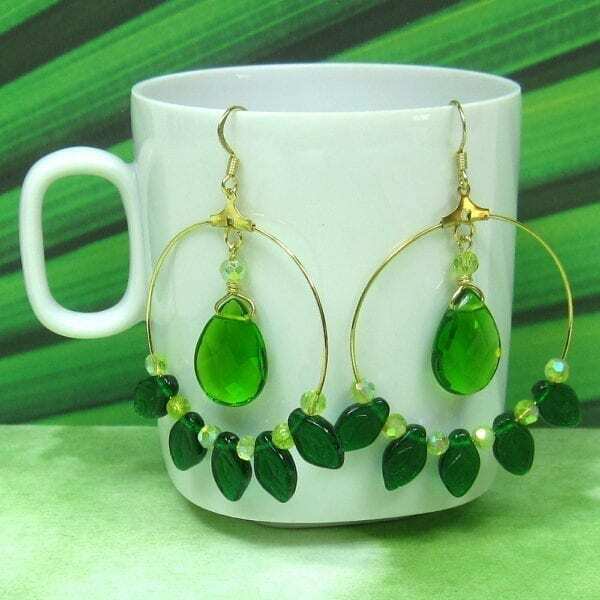 Also included is a lifetime string-replacement guarantee: If your Prayer Beads become unstrung at any time, simply return all the beads to Kristi Lyn Glass, and she will restring them for free.